The glug water container holds a thirst quenching 4 pints (2.2 liters) and is easier than ever to fill. 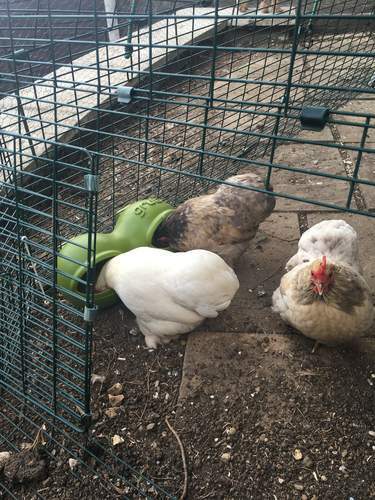 The Grub food container will keep 4 chickens fed for 2 days. 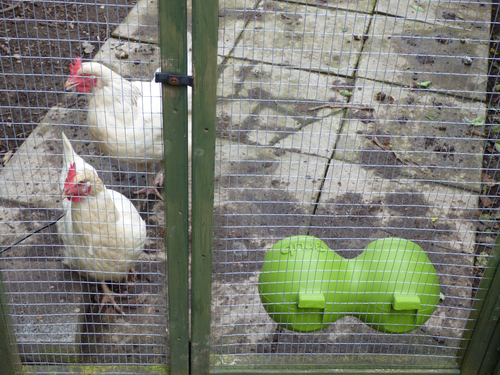 They fit onto the Eglu Classic, Cube and Go run and can be put in the dishwasher. Buy the Glug and Grub in this package and save over £3.00! Great feeders. 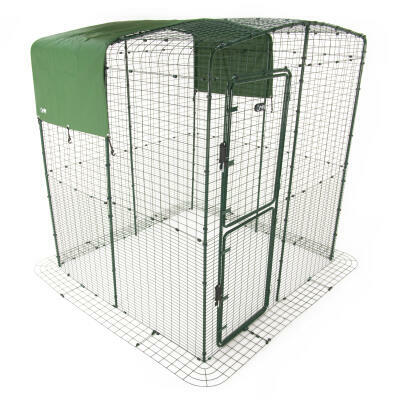 Keeps food dry and accessible and my chickens love them. These are both easy to fill, easy to clean & attach easily to the run. Very happy...& the ladies love them too! 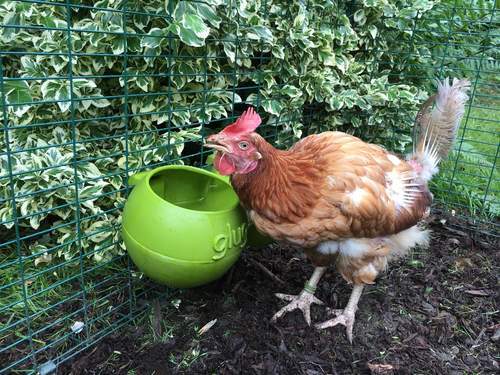 I was initially unsure about purchasing the glug and grub for my girls because they are Pekin bantams and I worried they would not be able to use it due to their small size and the price put me off a little. 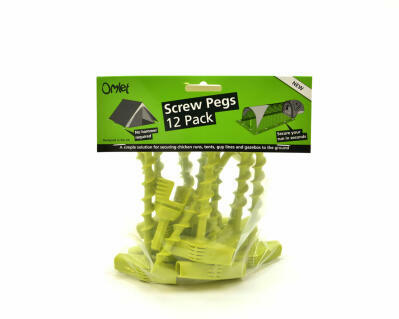 Having now had them a month, I wish I had bought them sooner and the price is fantastic for the quality of the product. The grub is so easy to clean, I literally use some of my cleaning solution and put my hand inside the feeder and swish a scourer around and it leaves it clean as a whistle. 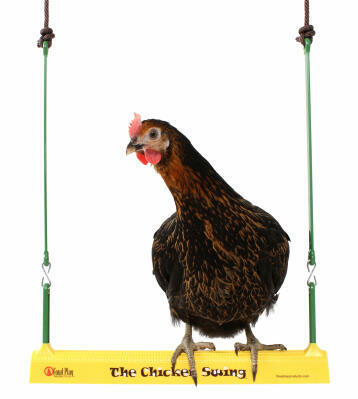 It's extremely easy to fill up and when attaching to the omlet run, it can be attached on any horizontal bar so I put mine on the lowest one to have the feeder sitting on the floor. 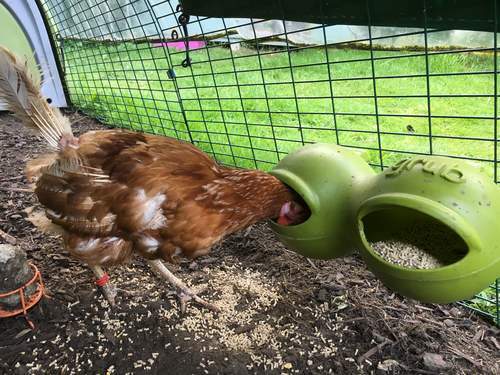 My girls will happily stick their heads in two at a time and have never had any issues reaching their food. The hood over the tops of the feeding holes, prevents the rain from getting into the food which is a big plus for me because I was sick of my layer pellets been turned to mush in the winter rains. 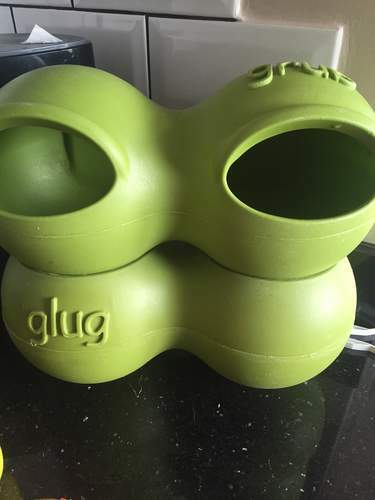 The glug is also brilliant, it's so easy to fill up from the outside of the run with a jug of water and again it's super easy to keep clean. I find normal drinkers are a pain to take apart and clean and leak but these do not and it makes it easy for my girls to access their water. Being open topped it also allows the rainwater to fall in which my girls really enjoy drinking too. Both of these products get a massive thumbs up from me for being easy to clean without having to take the product apart. You simply need to empty the water out or the remnants of food, run some water in and give it a clean and that's it, it's done. You don't need to take anything apart, or put it back together again so it makes cleaning it very simple and quick. All in all, I would say these products are fantastic. 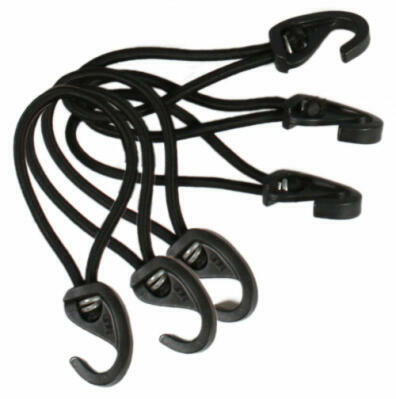 I don't know how they would attach to a run that isn't by omlet because they consist of two small hooks at the back which wedge onto the horizontal bars but I imagine you would still be able to use these products sitting on the floor in the run as well. They really are very easy to use and my girls never had any issues. 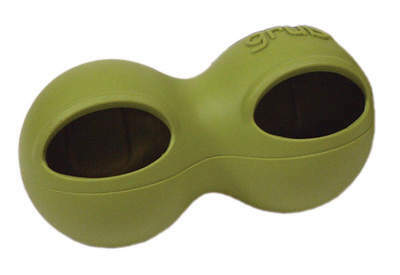 They are definitely much better than any of the other feeds and drinkers I've tried and I like the fact they come in different colours so that you can come to coordinate with your eglu :) A great quality product, perfect for keeping food dry and water fresh.